Farming First is pleased to act as media partner for the Louis Malassis International Scientific Prize and the inaugural Olam Prize for Innovation in Food Security. Our new blog series will showcase stories from scientists nominated for these prestigious prizes. The ninth blog in this series outlines the work of Dr Jan W. Low, nominated for the Louis Malassis International Scientific Prize for Distinguished Scientist. Young children in sub-Saharan Africa are particularly vulnerable when households are food insecure – lack of sufficient energy, vitamins and minerals for good growth negatively affect their future as productive adults. Vitamin A is a key micronutrient for a strong immune system. Vitamin A deficiency (VAD) is caused by not eating enough vitamin A rich foods and loss of vitamin A due to illness. In the 1990s, the scientific community focused on the use of vitamin A supplements because the evidence that food-based approaches could reduce VAD was weak. 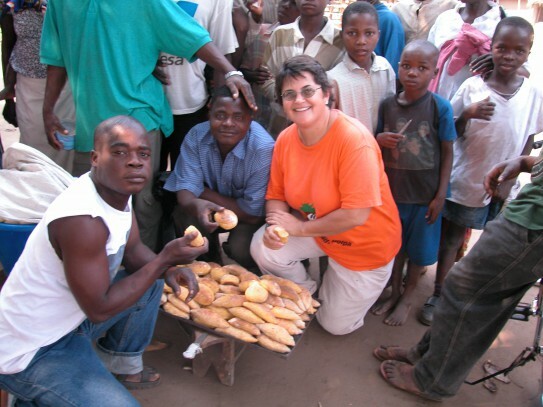 In recent years, orange-fleshed sweetpotato (OFSP) has been recognized as rich in pro-vitamin A and is an energy source – it is a naturally biofortified crop, that is a staple crop rich in major micronutrients. However, in sub-Saharan Africa, most varieties are white-fleshed, lacking any pro-vitamin A. The work of Dr. Jan Low, nominee for the Louis Malassis International Scientific Prize for Distinguished Scientist, has sought to demonstrate that a food-based approach, using orange-fleshed sweetpotato as a key entry point, could help reduce VAD among young children and improve household food security. It took Dr. Low over three years to get funding for the initial research she led in Mozambique. “Neither the agriculture sector nor the health sector felt comfortable funding the other” she explains. The research from this initial study demonstrated how combining the introduction of pro-vitamin A rich orange-fleshed sweetpotato with community level nutrition education could make a big difference in vitamin A intakes and contributed to a decline in vitamin A deficiency among young children. It was the first study of its kind at the community level for a biofortified crop. Results are now being analyzed linking OFSP access to health services for pregnant women. Having shown that orange-fleshed sweetpotato could make a difference, what were the barriers preventing its full-exploitation? Dr. Low also led the creation and implementation of the Sweetpotato for Profit and Health Initiative (SPHI), in order to build a “community of practice”. Launched by the International Potato Center (CIP) in collaboration with 26 partners, it seeks to improve the lives of 10 million African households 17 SSA countries by 2020 through the diversified use of improved sweetpotato varieties. Dr. Low led the expansion of CIP’s physical presence from two to ten SSA countries. As of December 2014, over 960,000 beneficiary households have been reached. Farmers receiving quality planting material of improved varieties can improve see yields improve 50 to 300%. Sweetpotato breeders meet annually, and have released 46 new varieties since 2009, available in a catalogue on the Sweetpotato Knowledge Portal. Collaborating with in-country training institutions, a ten day Everything you ever wanted to know about sweetpotato training of trainers course was conducted for 3 years in Mozambique, Tanzania, and Nigeria. “Under the SPHI, we seek to change the image of sweetpotato as a crop of poor women to a healthy food for all,” says Dr. Low. In seven SSA countries, OFSP has been integrated into food security and nutrition policies and programs. 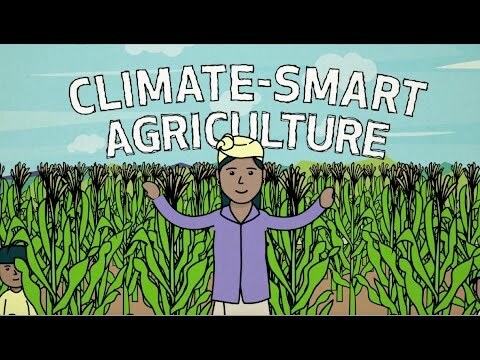 The winners of the Louis Malassis International Scientific Prize and Olam Prize for Innovation in Food Security, will be announced at the Third Global Science Conference on Climate Smart Agriculture on 16th March, 2015. 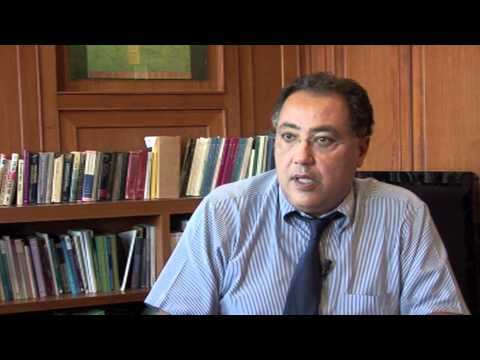 "The FAO's view on Climate-Smart Agriculture with Hafez Ghanem"